Finance minister Carlos Leitão did not have the courage, thursday, to stand up in the House to correct, or even repeat, the same remarks which he made in english last week, in front of representatives from the anglophone community, in which he accused the Coalition Avenir Québec of extolling “an ethnic based nationalism”. The leader of the CAQ, François Legault, now calls upon liberal leader Philippe Couillard, to officially dissociate from the remarks made by his finance minister. 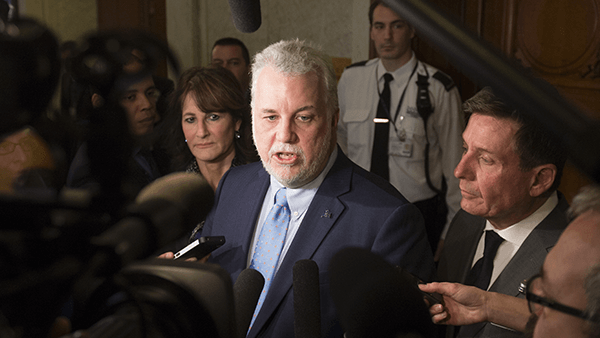 The liberal party has moreover blocked a motion by the CAQ for the National Assembly to recognize that none of the parties which are represented endorse ethnic nationalism. Questioned by the parliamentary leader of the CAQ, François Bonnardel, the Finance Minister remained seated and left it up to his colleague, the Immigration minister David Heurtel, to defend his insidious remarks and to pursue the campaign of organised lies carried out by the liberals. The liberal party has accused the CAQ of division, when in reality, it is with these kinds of callous accusations, the liberals are pointing fingers at all Quebecers who think differently than them, deplored François Bonnardel.